Look at these people! Is this who you want to lead and pave the way for the future of our nation? 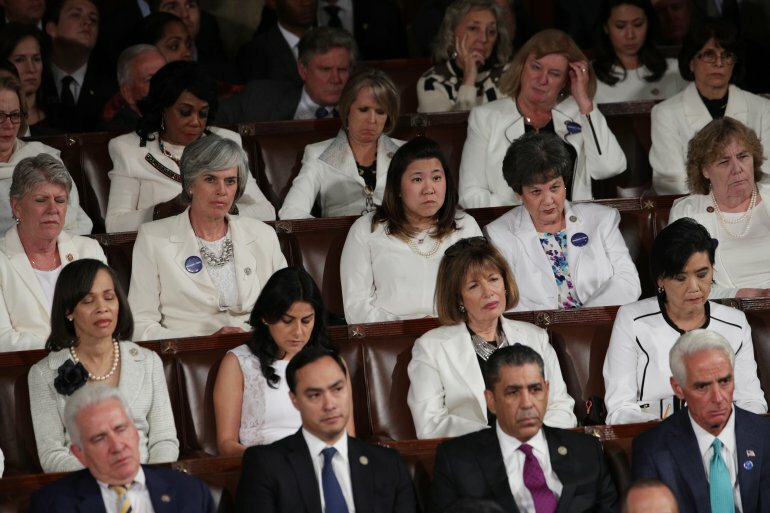 Wearing white in solidarity for women’s rights because of this DELUSION and LIE that Trump is somehow going to take them away? They work in Congress, don’t they know how our government works? Refusing to applaud the unification of our country for fear that they might appear to be “working” with Trump? It’s just DUMB. These people need to GROW UP or get out of Congress, because I’m sure they’re all going to get voted the hell out next election cycle if they don’t.